Where to Buy a GoPro in Taiwan? Planning to shoot some slick action shots of Taiwan? Wondering where to buy a GoPro in Taiwan? I recently took to the dive into the world of action cameras, and after visiting several official GoPro re-sellers in Taiwan, I figured out the best place to buy GoPro Cameras. Since most micro-chips and motherboards are made in Taiwan, it’s easy to assume most electronics will be cheaper than other countries. Unfortunately I found the opposite to be true. Electronics here, especially non-local products, are much more expensive than other countries. So I was quite disappointed when I discovered that all the action camera stores (including official GoPro distributors) charge a ridiculous amount for the cameras. I think this is because of the crazy import fees on products to Taiwan. The import tax applies to basically every non-local product, that’s why some groceries are like twice as expensive as in your home country. And of course sellers will want to make a profit too, so some electronics are really expensive in Taiwan. But before you buy, check out my detailed Go Pro review. I was searching for a good deal on a GoPro Hero Black 5 – it’s a mid-range GoPro – but capable of creating decent videos. For some reason, every store and website I visited charged over $15,ooo TWD for the camera. The cheapest deal I was able to find was $14,000! To me, that was funny because on Amazon you can buy it for $240 USD ($7,000 TWD). So on Amazon it’s almost half the price as buying from a local store. Quick update: I have found Go Pro Hero 5 cameras in stores for about 11.600 TWD. Which is a couple thousand more than what you can find on Amazon. To save money, I don’t recommend buying Go Pros in Taiwan. I ordered mine from Amazon, hit the link below to order one too. I paid about 9,800 TWD for it, that includes shipping and customs tax. The customs tax was about $50 USD ($1,500 TWD). But it still ended up being much cheaper than local sellers. 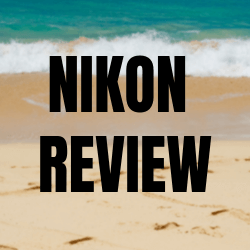 Speaking of buying cameras, not long after I grabbed a Go Pro, I bought a Nikon B700 DSLR camera. So currently there’s a new Go Pro on the market, Go Pro Hero 7. 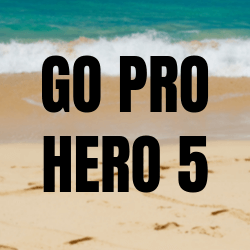 Since the release, the previous models dropped in price, so if you were waiting for the cash to grab a Hero Five, now is your chance. I don’t have one at the moment, but I have seen them in stores. Finding a Go Pro 7 in Taiwan is the same as finding a Go Pro Five. For example, right now on Amazon the Go Pro 7 costs around 11,300 TWD. But… on PC Home (Taiwan’s number one retailer) the price is between 15 to 20 thousand. I found one listing for 15,900 – the absolute cheapest. The upside of getting it from PC Home is usually they deliver within 24 hours, if you live in Taipei City. See the difference? As mentioned earlier, paying the shipping fee and waiting a couple of weeks is worth the savings. Generally, I would avoid PC Home, as they tend to drastically over-charge for items. The same usually goes for camera stores. In my opinion, the best – and cheapest – way to get a Go Pro in Taiwan, is via Amazon. Though some electronics are hard to come by in Taiwan, at least for a reasonable price, there is some good news. Camera accessories, like selfie sticks, tripods, and everything else, are incredibly cheap in Taiwan. You can find practically any accessory for your Go Pro here, not to mention all the accessories for cell phones. I had good experiences with this camera store in Bade Lu, they have a crap-ton of accessories. The camera arrived in about a week, which was quicker than the estimated time of arrival on Amazon. So if you want to save some cash, buy the GoPro from Amazon, or another online seller. I’ll be writing a review of my GoPro Hero Five Black soon, so check back later. 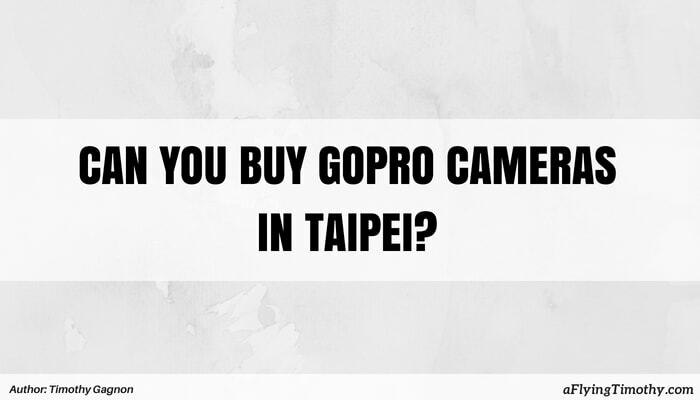 Thanks for taking the time to read this article about where to buy a GoPro in Taiwan. So I’ll be taking some videos of Taiwan to show you guys soon!